Converting a traditional IRA to a Roth IRA results in taxable income. 3. How Much Can I Roll Over From My IRA to My Roth IRA If I'm Retired? In years your taxable income is lower, converting money from a standard, or traditional, individual retirement account to a Roth IRA is a smart move because you can convert the money at a lower tax rate. Although having income in isn't a requirement for converting to a Roth IRA, you'll likely need some source of funds to pay the resulting taxes. To contribute to a traditional IRA or Roth IRA, you must have earned income in the year you make the contribution. However, once the money is in the traditional IRA, you don't need to have additional earned income to move the money to a Roth IRA, according to the Internal Revenue Service. Converting from a traditional IRA to a Roth IRA results in taxable income because you're moving money from a pretax IRA to an after-tax account. If you haven't made nondeductible contributions to the traditional IRA, the entire amount of your conversion counts as taxable income. If you've made nondeductible contributions, you won't pay taxes on the part of the conversion that comes from nondeductible contributions because you've already paid taxes on that money. For example, if your traditional IRA's value is 30 percent nondeductible contributions, 30 percent of your conversion would be tax-free. When you convert, the taxable income is added to your other income, if any, to figure your gross income for the year. 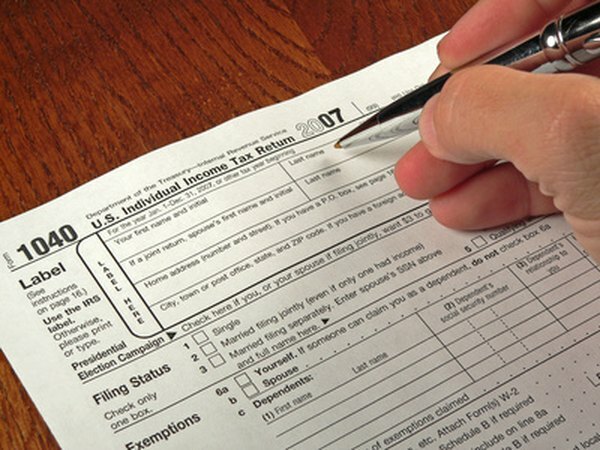 Depending on the size of your conversion and your filing status, you may not owe any income taxes if you have no other income. For example, if your personal exemption plus your standard deduction totals $13,000 and you only have $10,000 of taxable income from your Roth IRA conversion, you won't have any taxable income. When you convert from a traditional IRA to a Roth IRA, you must report the conversion on your income taxes even if you don't owe taxes as a result of the conversion. When you file your return, use Form 1040 or Form 1040 A and report the total conversion as a nontaxable IRA distribution. Then, figure the taxable portion with IRS Form 8606. Finally, enter the taxable part of the distribution as a taxable IRA distribution.